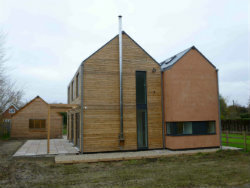 Our client wished to build a sustainable new dwelling near Hadleigh in Suffolk. 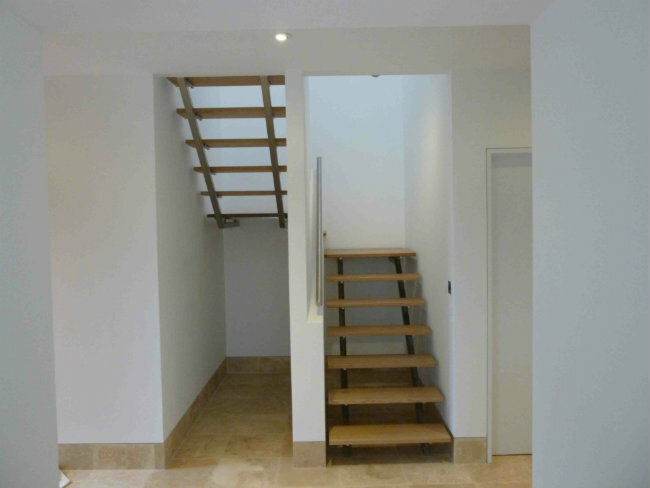 We were commissioned to undertake the design of foundations and superstructure. 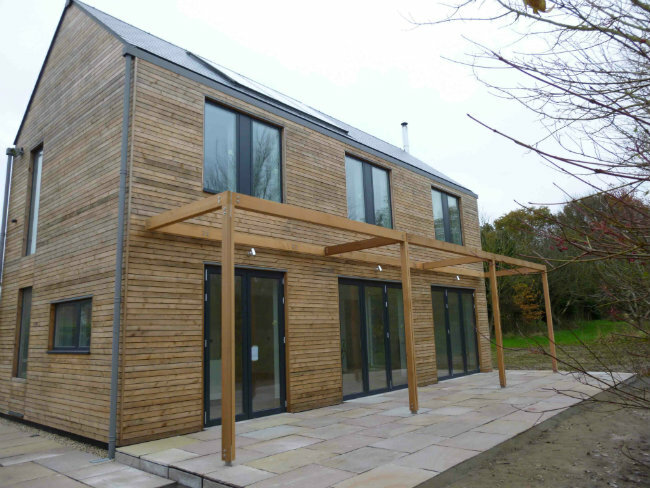 The design incorporates hemp and lime construction to create this starkly elegant dwelling. The hemp and lime combination is poured or sprayed between vertical studs to create the thermal mass of the building. It is finished externally with a combination of larch boards and lime render. 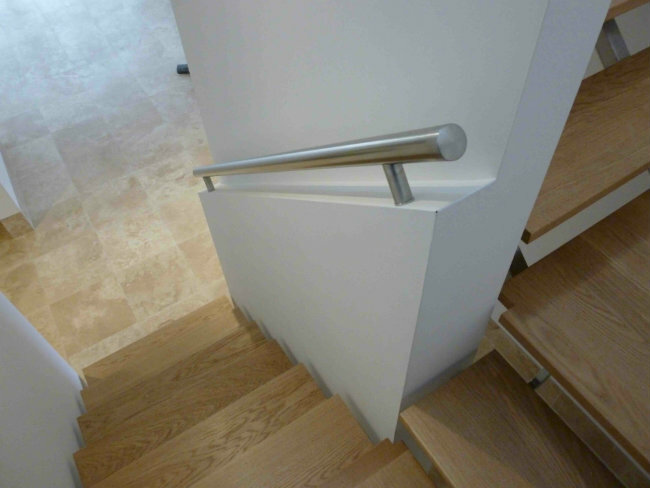 The internal staircase features open timber treads supported on slender tubular steel stringers. To counter the potential shrinkage and swelling of the local clay soil, the house and neighbouring garage are built on reinforced concrete raft foundations.